The maiden edition of the Unilag fashion week is set to be on its way. Kona Signatures and Unilag have collaborated to bring this wonderful event to the grassroots. These event which will be held on the 28-30th of June has promised to be one of its kind in the Educational Sector in the country.They are also using this as an opportunity to Celebrate the Golden Jubilee of the the great University which will be 50 Years This June. University of Lagos being a foremost and trend setting institution is pleased to take its place in the fast evolving African fashion industry.This fashion week would be a week celebration of Fashion, Arts, Culture and Entertainment.It would be a platform to give back to the community we have cherish so much in the last 50 years,on various aspects as we always do. contributed and promise that the Unilag Board and Staffs were fully behind the initiative and would give their full support to the event.There will be series of Workshops to educate students on latest fashion trends,and also foreign investors and designers will be showcasing their wears.Its promises to be educative and entertaining.Models and Upcoming fashion designers are all welcome to send in their sketches for auditioning and selection. Kona Signatures is a UK based clothing line,which has been in existence for a while now,playing a major role in the fashion industry in the UK, Kona Signature,a cutting edge fashion brand for the contemporary woman enabling her make a fashion statement always, wearing the same clothe to work, family commitments and socializing, fitting into these roles perfectly on its own or with accessories. 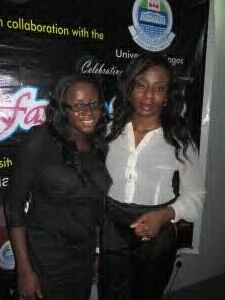 Please do follow dem on www.unilagfashionweek.com, twitter and Facebook for great deals and up to date information.